Book Week Melbourne School Talks. Talking Jack Reacher and Jed Walker, thrills and Suspense. Venue: Terrace Room, NPG. King Edward Terrace Parkes, ACT. Event: Swinburne University of Technology. Event: ABC Radio, James and Andy chat with Lindy Burns about Jack Reacher and Jed Walker. Audience: Live to air, Victoria, Tasmania, and Western Australia. Venue: Rising Sun Hotel, 2 Raglan St, South Melbourne. Bookseller: The Sun Bookshop, Yarraville. Lee Child is Skyping in from NYC. Panel: Morbid Minds. Two writers explore the popularity of their form, and why readers love entering a world of fear. James Phelan, Sarah Schmidt, Paul Barclay. Brisbane, QWC Thriller Writing workshop. Another year and another busy time working on my new YA work, set for publication in 2017. More details soon. I'm very happy to announce that for the third year in a row, the children of Australia have nominated my Scholastic series THE LAST THIRTEEN onto the 2016 REAL Awards shortlist for the Older Fiction category. This is the only prize for children literature in Australia that is nominated and judged by popularity of votes - eg the more kids across the country choose the shortlist and winning the titles. This follows other awards and nominations by YA books have received, such as the YALSA awards in the US. Also, I will be a guest at Voices on the Coast in June, the Children's and Young Adult Writers And Illustrators Conference in July, and in August I will be facilitating an all-day workshop for the shortlisted writers in the John Marsden Hachette Prize in conjunction with Express Media, the Wheeler Centre, and Melbourne Writer's Festival. Keep your eyes out this December for the paperback editions of THE HUNTED and KILL SWITCH, as well as the release of my fourth Jed Walker thriller, DARK HEART. It turns out that THE LAST THRITEEN has been received well, which surprised me as it’s a Middle Grade series (7-13 year olds was the publisher’s target market) and I was afraid that it might take me a project or two to find a compelling enough voice for a younger readership. Well, over the first 18 or so months of publication we've sold over a million copies. As the series rolls out into more countries around the world, it’s got me touring to fun (Hong Kong?) and exotic (Ohio…?) locations and getting great feedback from readers. What thrills me most is that I’d always wanted to write a big epic series about the Dream World, and it was brave and daring that Scholastic let me spend a lazy six-hundred thousand words across 13 books doing just that – and it’s satisfying for all of those involved that it is paying off. After 11 months on the road for my publisher in Australia, the bulk of my 2015 and 2016 book-tours saw me do three months per year throughout the US, meaning that I had to postpone a scheduled 6-week Asian book-tour to 2016. It’s become quite the juggling act to make sure that I schedule enough writing time around these public appearances, but so far… so good? Maybe. 2015 saw plenty of research and planning and editing has occur in hotels and airports around the world. And 2017? Well, it sees me again being based in the US during September onwards for more book-touring, where again I will be talking at 3 schools per day across a number of states… and hopefully finding some time in LA to work on a super secret film project. 2015 saw the publication of two of my Jed Walker suspense thrillers, THE HUNTED, and KILL SWITCH. The former, which is about the Iraq war and what we really found in the hunt for WMD – and what the true cost of that is – was such a success that Hachette brought forward the publication of KILL SWITCH from Feb 2016 to the Christmas 2015 slot. The story of KILL SWITCH, where the President’s hand is being forced to turn off the internet, is a story that has been rattling around in the back of my mind for about fifteen years, from waaaay back when I was on staff at THE AGE newspaper for five years and came across a whole bunch of material on the Net’s engine and its masters. It’s by far my biggest thriller yet, and I hope that readers continue to enjoy it. I’ll be talking about KILL SWITCH on RRR radio at Noon EST, Jan 20, so tune in. Oh, and I will be doing national book tours in Australia during April, August, and November, and will post details here. Thriller #9 (4th in Jed Walker series). Title is under wraps. What I can tell you is that it’s about how we treat and view refugees, and how that changes who we are and where we’re headed. As an Australian, which is made of colonisers and convicts and refugees (and there’s parts of all of them in my DNA), it’s a subject I had to write about. 14th instalment in THE LAST THIRTEEN series. I know, right? The ending of the series set up an awesome and radically changed world and a few new questions, such as: Who made the Dream Gate? When? Why was it turned off in antiquity? And, well, we’re all still dreaming, right? So how could I say ‘no’ to writing some more! World-wide English language publication slated for Oct 2016. An illustrated Middle Grade series with my old mate Dave Hackett. We’ve mapped out the first 3 books and written the first. Think Wimpy Kid, or Underpants, but awesome. Right? 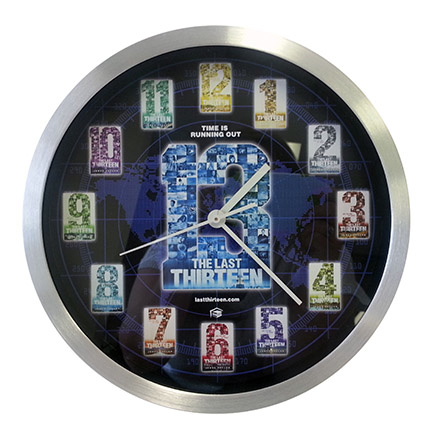 The Last Thirteen sequel. What if your dreams starting coming true? What if you could control those dreams? What if someone else could? Published by Scholastic in 2017. The Freedom Files. As mentioned on my old website way back in 2009, this is a YA sci-fi trilogy, set in a future where we use a VR-type game to live in as the world as we know it has collapsed, where we follow four teenagers who must work together to save us all. The Last Thirteen came along and interrupted this idea - but I've been working on it lately, and it's heaps of fun. War Brothers. Clancy is the 16-year-old youngest of four brothers, and heads to war in Gallipoli and then the Western Front, following the middle two brothers; when those two brothers die in Fromelles, the mother sends the eldest son to war with the mission: bring her surviving son, Clancy, home. Based on a true story: my great-grandfather, Clarry, was that 16 year old boy. 10 Days. A teenager struggling with life reads that if you don’t sleep for 10 days, you die. He spends the next ten days tyring to experience everything that he always wanted to do –whilst not sleeping – before he checks out. Also inspired by a true story. How’s all that for a slice of fried gold? While I reflect on my reading, it’s been a mixed bag of books enjoyed, books thrown in the donation pile, and ‘books to blurb’ that I couldn’t bring myself to give more of a cover quote than: ‘Of all the books that I tried to read this year, this was one of them’. Each year I read 50 or so books, so usually a book per week, right? But… If it’s modern fiction, I usually take 3-4 days to read it. Classic literature and novels that I want to savour take me twice that. Non fiction is 1-2 weeks. When I’m in the ‘writing phase’ of my own fiction, which is 6 months of each year, I rarely read the fiction of others. When I finish each book I read, I write up a page in my notebook – of thoughts and ideas and criticisms of the text – then I tear that page out, fold it in half, and stick it inside the book I’ve just read; one day I will compile all of those reading notes (hehe, who am I kidding – that’s what assistants and interns are for) and publish them as a life-long reader’s journey. 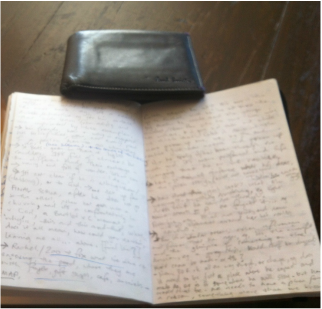 Perhaps a compendium with excerpts from my notebooks, which run at 100 pages for each book I’ve written. With regard to those journals or notebooks, for me that’s such a fun phase of the writing process. It’s not that I’m mapping out the entire story beat for beat, it’s more about knowing the ending, some touchstones, and getting a feel for major characters and situations. Then the writing journey is where the real work takes place when I am dreaming on the page, when I’m being just another reader, wondering what is coming next, waiting to find out just as my readers do – I don’t even look at that notebook once I start typing on Page One. It’s like I needed to know some things and figure some stuff out, then I’m set. I think part of that goes back to when I studied architecture at university and worked for a couple of firms: you dream and create and doodle around for a while before you start working with pen and ink and design and engineer each minute detail. So, back to my 2015 reading… One of the joys is catching up with friends. Some are personal friends, others are writers I’ve long admired (and some of those long-dead). I read my peers and contemporaries because at a certain level a book is almost a diary of how that person felt during that year – so I read all my friends to catch up on their news. 2015 seemed a good year all around. ​I then stroll up through the park to the Metropolitan and look through a couple rooms, usually including either the Greek, Roman, or Egyptian collections (which I am fascinated with, and feature in THE LAST THIRTEEN). Face off at the Met Museum. ​One of the beautiful things of opera as an art form is that even if you know the narrative of the libretto and the movements of the score, you are still moved by the interpretive artists and the emotional beats that resonate through time and place – much like a classic novel. Looking back at my 2015 travel, I’m reminded that whatever cities I’m in, I spent a lot of time in museums and galleries. In the US, since I’m in LA and NYC so often, I have memberships at all the museums so that I can just duck in and out for a couple hours as a break from writing/editing and to lose (get out of?) my mind for a while. The Getty Centre in LA is great – always one of my faourite views, and an impressive piece of architecture. The tram trip from the car park is a corker. While in New York I usually start at the Guggenheim, where I head to the top and corkscrew my way down to ground level. New York is one of my go-to places for opera and I try to catch the whole season at The Met to recharge my dramatic narrative batteries, and in October my standout was a production of Tosca with one of my favourite sopranos, Angela Gheorghiu, in the title role. Met Opera @ The Lincoln Centre. The final highlight of 2015 that I will share was a couple good drives. I like me a good drive – whether in a high revving little thing doing some twisty rally type work or open road and a big engine and endless miles stretching out ahead. One standout of the former was in Tasmania where I drove from Hobart to Queenstown. Incredible. Great road, and every 30 minutes or so the scenery would completely change: you’re driving out of a city, through farmland, through forest, desert, mountains, snow, vast plains of wild grasses, massive lakes that mirror the sky, and arrive in what could pass for the surface of Mars. The other great drive was a tad longer: from LA to Seattle, along the coast. California was great, and Oregon was beautiful. It was fall, and the trees where in all colours, the Pacific coast sublime. Heading north on the PCH. POTUS' boss entourage of Ospreys. Marine One headed south along Venice Beach. ​Highly recommend doing both road trips, if you’re ever in those parts of the world. Happy reading, and here’s to a healthy, and productive, year ahead.